It's the 20th anniversary of laser eye surgery. Please can you give a brief overview of how laser eye surgery has developed over the years? LASIK (Laser In Situ Keratomileusis) creates a hinged flap with a microkeratome and evaporating corneal tissue under the flap with an excimer laser. However, the concept that refractive error could be corrected by sculpting corneal stromal tissue to change corneal curvature was the brainchild of Jose Ignacio Barraquer Moner in 1948. Barraquer developed the procedure he coined as "keratomileusis," (Greek: Milling of the cornea) which involved ressecting a disc of anterior corneal tissue that was then frozen in liquid nitrogen, placed on a modified watchmaker's lathe, and milled to change corneal curvature. The word "keratomileusis" in LASIK literally means "sculpting" of the "cornea." Improved accuracy of manual microkeratomes. This improved the safety of the procedure. Femtosecond laser to replace manual microkeratomes for flap cutting. This further improves safety by improving precision further and avoiding intra-ocular complications related to flap cutting with manual microkeratomes. The shape of the ablation profiles has improved, with the introduction of aspheric profiles instead of spherical profiles which resulted in reducing aberrations induction and therefore also reducing night vision disturbances. Night vision issues were further eliminated by enlarging the size of the optical zone. Further profiles improvements include topography-guided treatments and wave front-guided treatments which can be customised for each eye being treated. Presbyopic profiles allow presbyopic patients to have refractive correction for both their distance vision and near vision. Eye trackers continuously track eye movements during the procedure therefore enabling accurate centration of the treatment. Improved centration of the treatment on the cornea has improved outcomes. You are probably best known for building a prototype of what became the ArtemisTM scanner. Please can you tell us a little bit about this corneal scanner and what impact it has had? The Artemis is a very-high frequency digital ultrasound scanner that allows layered corneal pachymetry over a 10-mm diameter. Ultrasound for imaging babies works at about 3 megahertz, while this system works at 60 megahertz; this means that can get a much higher measurement resolution down to 1 micron: 1/100th the thickness of a human hair. We can therefore map individual layers of the cornea more accurately than with any technology preceding it. After the research years in the 1990's I have been incorporating the Artemis technology into my daily practice as a laser eye surgeon for the last 15 years. It enables us to much more accurately screen out people who should not have surgery, but it also enables us to do vision correction surgery on people that would have otherwise been told that they cannot have laser eye surgery. It also has enabled us to repair the complications of surgery to a degree which was never before achieved. In fact, there are practically no complications now that we cannot diagnose and correct on the cornea thanks to the amazing imaging accuracy of the Artemis. In addition it helps with intraocular lens surgery to get better lens sizing for the implantable contact lens, a method of correcting very high myopia not correctable by laser (usually above -14). 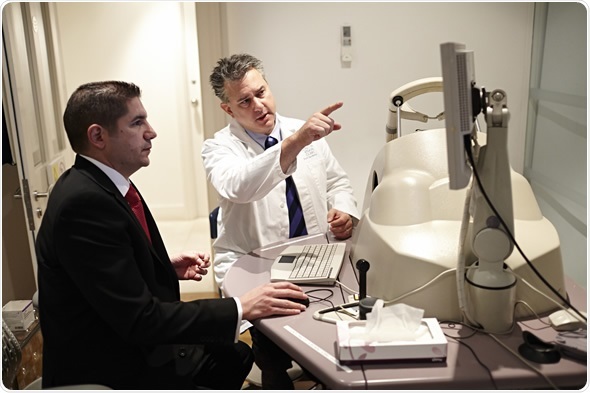 What have been the key breakthroughs in laser eye surgery over the past 10 years? One key breakthrough has been the development of a new procedure called ReLEx SMILE or Refractive Lenticule Extraction. Ever since femtosecond (infrared) lasers were first introduced into refractive surgery, the ultimate goal has been to do flapless laser eye surgery - keyhole surgery. 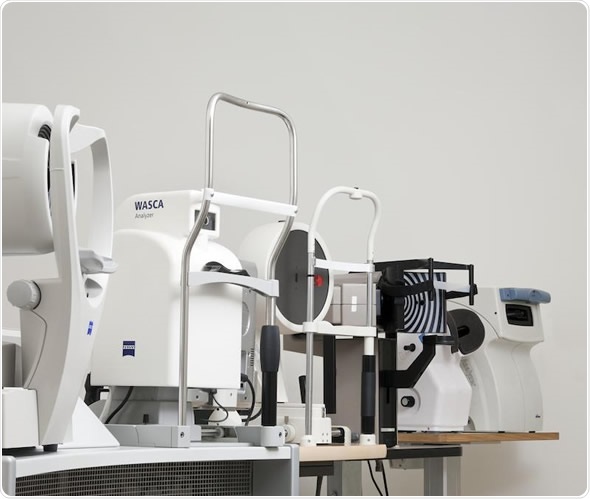 Carl Zeiss were the first company to achieve a laser that was accurate enough to do this. There are no other companies on the horizon yet with this level of accuracy, but eventually all other manufacturers will be producing such lasers. SMILE has several advantages. It avoids flap-related complications. It also has less biomechanical impact on the cornea because it preserves the strongest part of the cornea (the front) while the tissue removal comes from deeper down (the weaker fibres). This means we can treat much higher prescriptions than by LASIK laser eye surgery and we can also treat people who previously would have been told they were not candidates because of their dry eye as it affects the corneal nerves much less (they run along the surface of the cornea). The second major breakthrough has been Laser Blended Vision, which enables us to avoid the older technique of having to do a clear permanent lens replacement inside the eye. Laser Blended Vision is a corneal laser eye surgery like LASIK that takes about 10 minutes to perform in both eyes, heals in a few hours and can correct 97% of all people with bifocals or reading glasses. The older technique of lens replacement involves going inside the eye, removing the healthy natural lens and replacing it with a synthetic light splitting bifocal lens inside the eye; clearly higher risk but also less accurate than laser eye surgery for focusing. What are the main laser eye surgery techniques used today and how do these compare to previous methods? The newest technique is the SMILE technique I have just described. LASIK, and surface procedures such as LASEK or PRK remain the most common procedures worldwide and we know that these are both safe and efficient. These techniques have improved over the years thanks to the technological advancements I also described earlier which have led to improved safety and improved efficacy, and have also allowed us to extend the range of prescriptions suitable for refractive surgery. We can now safely treat myopia up to -12.50D and sometimes even higher. We can generally correct long sightedness (hyperopia) up to +6.75D, astigmatism up to and sometimes slightly above -6.00 and of course the most common problem: presbyopia (ageing eyes). No one really, should be having lens exchange surgery before finding out if they would be suitable for Carl Zeiss Laser Blended Vision. In what ways can current techniques be improved further and what are the main limitations of laser eye surgery at present? LASIK has become an extremely safe procedure - in our practise, statistically it is actually now safer than the wearing of daily disposable contact lenses with respect to producing damage to the vision. Patients unsuitable for corneal refractive surgery are mainly patients with medical or ocular contra-indications. The main limitations of laser eye surgery now are at the very extremes of prescriptions - above +6.75 long-sighted, above -14 of short-sightedness. These people still require lenses to be inserted into the eye to correct their high prescriptions, nevertheless, laser eye surgery is still used in these patients to refine the prescription in up to 25% of cases given lower inaccuracy of intraocular lens power predictions. Can laser eye surgery be used to treat amblyopia (lazy eye)? Amblyopic eyes can be treated with laser eye surgery - this is not a contra-indication. 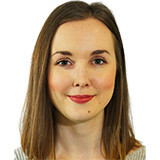 However, the surgery cannot "fix" the amblyopia, meaning that post-operatively the aim will be for the patient to get the same level of vision without glasses or contact lenses that they had pre-operatively with glasses or contact lenses. The level of vision or visual acuity cannot be improved. There is some early evidence now however that if a lazy eye is focused by laser eye surgery, it may actually be able to gain some vision. What can we expect to see from the laser eye surgery field in the future? I hope to see that the practice of laser eye surgery is standardised across all providers to the highest standard; something which sadly is not the case now. If everyone practiced to the highest standard, pretty much no one would be concerned about undergoing laser eye surgery; it is the discrepancy in standards that produces confusion for lay people in deciding to undergo such a life enhancing procedure. Of course, it is not risk free, but the level of risk is now so low amongst true specialist experts that the decision is pretty easy to make: after all, proportionately 30 times more eye surgeons have had laser eye surgery than the general population at large. What are the main myths surrounding laser eye surgery? 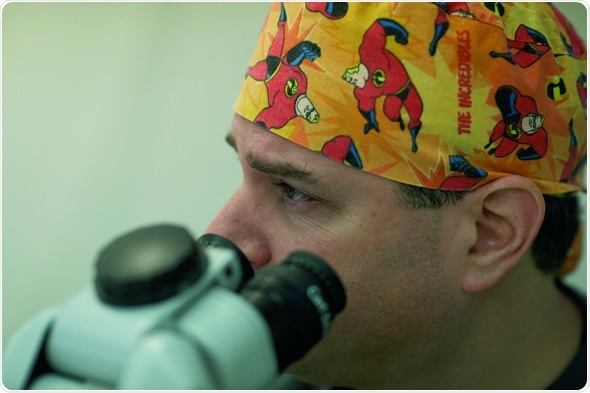 Professor Dan Reinstein is an experienced and accomplished research scientist in the field of laser eye surgery and makes major contributions to the field. Professor Reinstein holds a number of patents in techniques or technology relating to laser eye surgery technology and high-frequency ultrasound bioengineering. 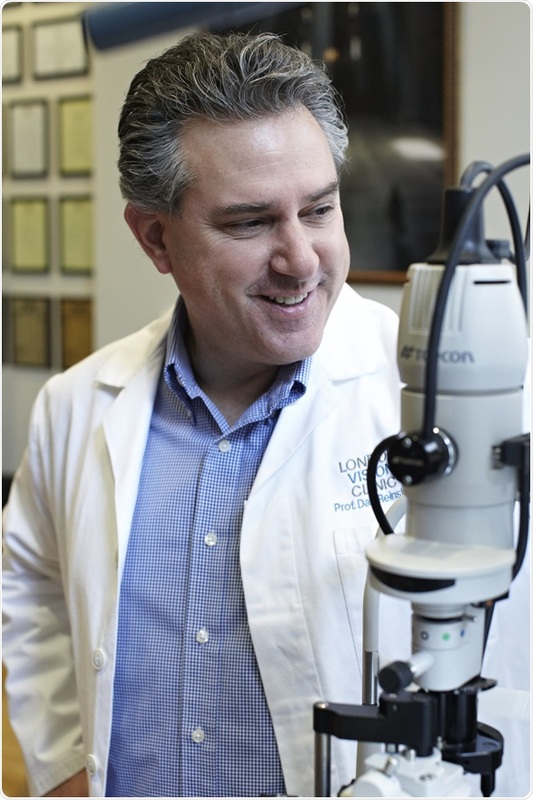 Reinstein is recognized as a pioneer in vision correction surgery. 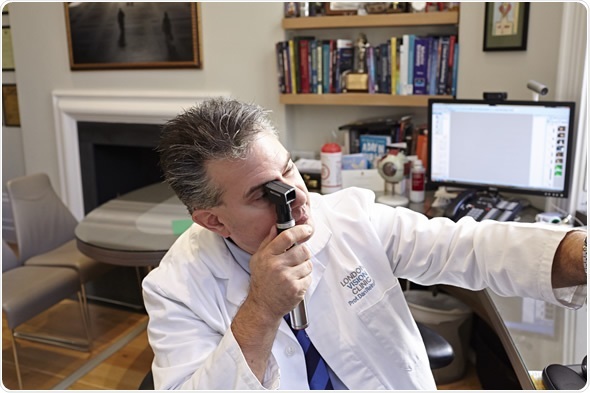 He is also known as a leading authority on the correction of complications of laser eye surgery and has developed the most sensitive method for early diagnosis of keratoconus. 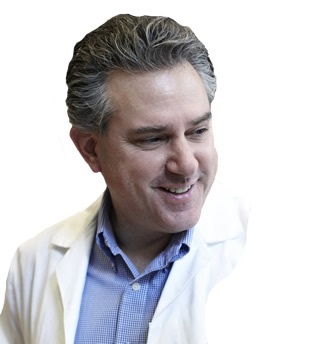 He has published over 126 articles in peer reviewed medical journals, contributed to or written 43 book chapters / published proceedings, and over 150 articles for the Ophthalmic Press. Reinstein has also presented or published about 250 scientific papers or abstracts and has participated as an invited speaker or instructor in over 500 courses and symposia at professional meetings on five continents. He has been a moderator or panellist at over 50 scientific international meeting panels. For any types of illness or disease, early detection always plays an important role in order to equip yourself in the battle against the disease since you were able to detect it during its early stage. The celebration of healthy vision month aims to create awareness on why vision should be a priority, educate people on eye care and the importance of detecting and treating eye conditions early. The American Diabetes Association (ADA) has published guidelines as to when to have the eyes checked, advised to schedule a regular dilated eye exam, maintain proper nutrition and healthy lifestyle and don't forget to wear protective eye wear.